(6 AA Batteries or Electric Power Cord). 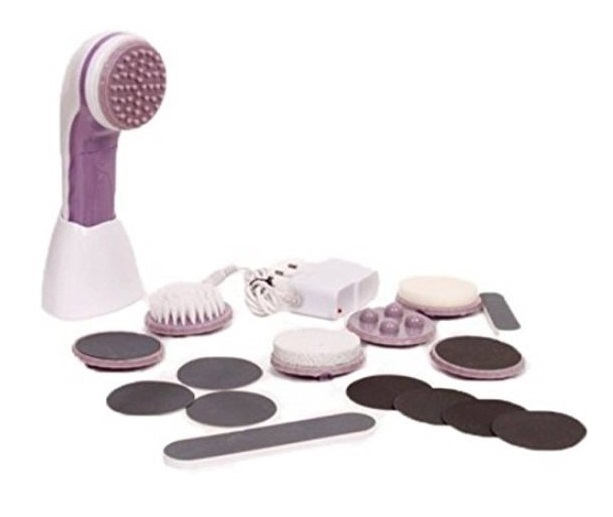 9 In 1 Complete Body Treatment Kit. 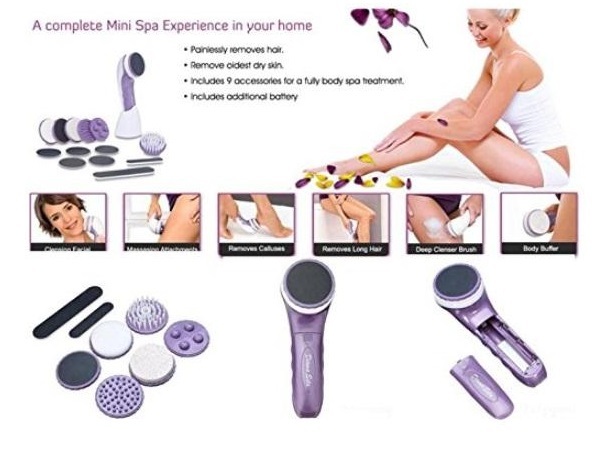 Do a Body Spa at your home with this amazing device with 9 different accessories. 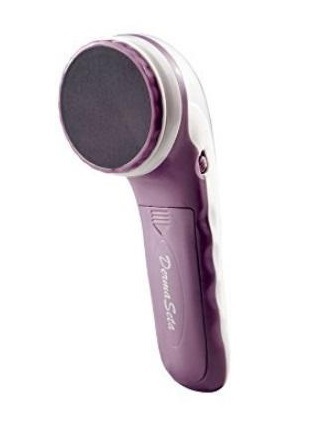 Now, It is Very Easy To Remove Unwanted Hair Without PAIN. 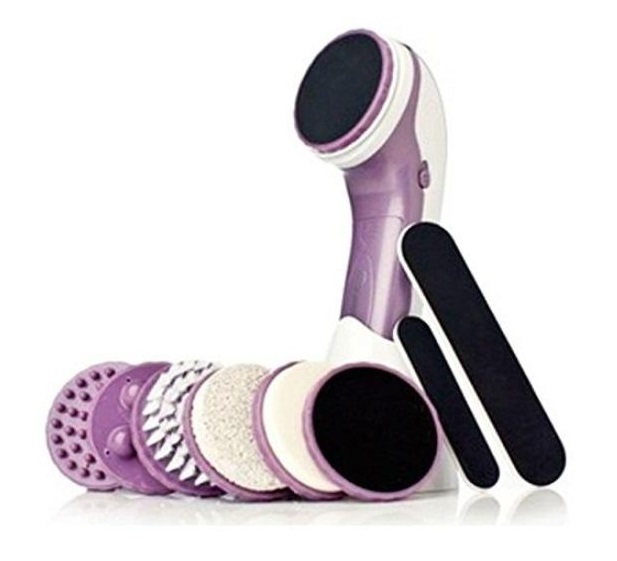 It will exfoliate dry skin. The active surface of Hair Remover Pad is covered with small crystals. These crystal surfaces help pluck the hairs from the roots by rotary movements, leaving the skin looking soft and slightly fair, as if freshly exfoliated.